Post news Report RSS	The Lawless is FREE! The Lawless is now free... Well, it's been free for a while. But I haven't shouted about it since! Thank you to everyone who purchased The Lawless over the last 6(ish) months. We are so grateful, and it has meant that we, as developers, can continue and can work on new projects and hopefully make more things you enjoy playing! The revenue generated from The Lawless has helped fuel the development of our new, PC title - Congo, which has recently just been Greenlit after 10 days. For those that don't know, or this is the first time you've seen anything about us. 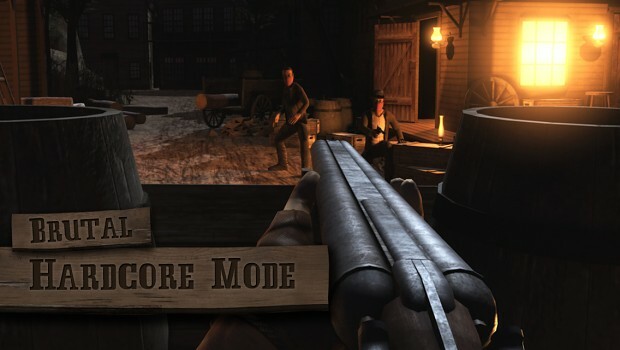 The Lawless is a first-person, on-rails shooter set in the Old West. Here's some visuals! Looks very interesting and really damn good lookin. I remember playing a like demo or beta of this on PC in my browser? Is that not a choice now?